Being a major college athletic director isn’t easy. Being the athletic director at Purdue is even tougher. At the time of this conversation in his office, the university had spent about $250 million to upgrade its facilities. It was long overdue for most of them, the result of years of neglect. Purdue is a conservative place that has always been fiscally responsible, but also has tried to do things on the cheap. The fact it’s never going to be as popular with the masses as Indiana simply because its name doesn’t represent the state adds to the difficulty in building winning teams. Here’s a little story to illustrate Purdue’s former place in the collegiate arms race of facilities. 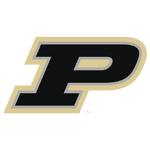 One summer Gerry Francis, the former Ohio State basketball player (they called him The Mule), was at Purdue for a summer camp or AAU competition. Purdue’s coaches took him on a little tour of Mackey Arena. He was amazed when he saw the small, spartan locker room for the men’s basketball team. “Props to the old man!” Francis declared. Meaning, congratulations to Gene Keady for winning Big Ten championships with the recruiting handicap of outdated facilities. We’d like to think high school athletes pick a college based on academics, geography, a relationship with a coach and all that mushy stuff, but we know better by now. Facilities matter. A lot. Burke has done great things to upgrade Purdue’s. Alums are likely to judge him by the coaches he hires, and not all of his decisions have worked out, but that’s always easy in hindsight. Try finding an athletic director, or anyone who hires coaches, who always gets it right. Some Purdue fans complain about Burke’s performance, but he’s probably the best AD the school has ever had. He’s run an honorable program, dealt with internal issues professionally and maintained an upbeat persona throughout some challenging times, all while shepherding a massive upgrade in facilities. Also keep in mind he’s not a dictator. He answers to a Board of Trustees. A conservative Board, at that.